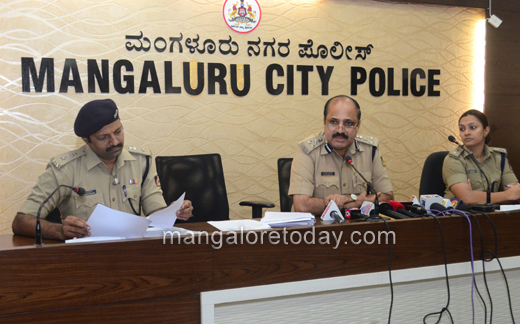 Mangaluru, Jan 24, 2018: City Police Commissioner T R Suresh has informed that investigations have revealed that the Abdul Basheer murder plot was hatched within the jail. It may be recalled here that Basheer who was brutally attacked on the night of January 3, hours after the murder of Deepak Rao at Katipalla, had breathed his last four days later in the hospital. Speaking to reporters here on January 24, Wednesday, the Commissioner said the main conspirators have been arrested. Giving details about the accused, he said those arrested are Mithun alias K Shrijith, Kishan Poojary, Dhanush Poojary, Sandesh Kotian, Pushparaj and Latesh. Other accused namely Kalladka Mithun (28), a resident of Goltamajal,Tilak Raj Shetty (28) of Akashbhavan, Raju alias Rajesh (21) of Farangipet have already been arrested. Yet another accused Anup of Akashbhavan is absconding. The Commissioner said Tilak Raj, Raju and Mithun are presently in jail in connection with other cases and that they had hatched the murder plot in the jail after they met Srijith, Dhanush and Kishan. He said they had no other motive but to kill someone from Kottara Chowki. Of the accused, Dhanush, Kishan N Srijith were customers of Basheer’s fast food restaurant. 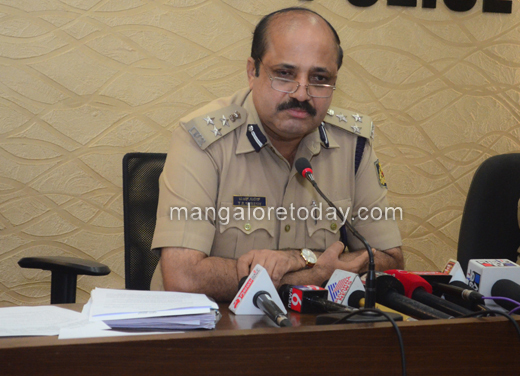 The Commissioner informed that six more persons have been arrested in the Deepak murder case. The accused are Mohammed Rafiq alias Mango Rafiq (24), Irfan, Mohammed Anas, Mohammed Zahid, Hidayatulla, and Imran Nawaz. All of them had conspired the murder and are residents of Katipalla except Nawaz who is from Jokatte. With regard to the case of fellow prisoners extorting Rs 15 lakh from a bank manager who is in prison, the Commissioner said the accused have been identified as Mithun Poojary of Goltamajal, Tilak Raj of Akashbhavan, Raju alias Rajesh of Farangipet, Shivaraj of Kotekar and Nikhil of Kannur, Mangaluru. The first three of them are arrested in Basheer murder case. Two other accused identified as Anup Kumar, Charan and Manoj Kulal alias Kodikere Manoj are absconding.